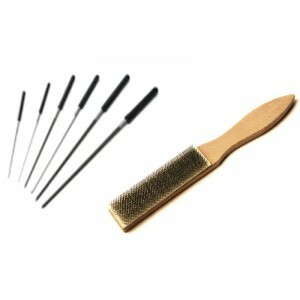 5-Row Brass Brush, Made in Germany. Hand Held 25cm long overall Brass crim..
5-Row Brass Brush, Made in Italy, dense, 22cm long everall. .. Replacement head for electric bead reamer (8004307) - Small. Approximate length of replacement h..
Bead reamers, for enlarging the inside diameter of semi-precious, glass and metal beads. Gently ..